Exceptional performance meets incredible value. 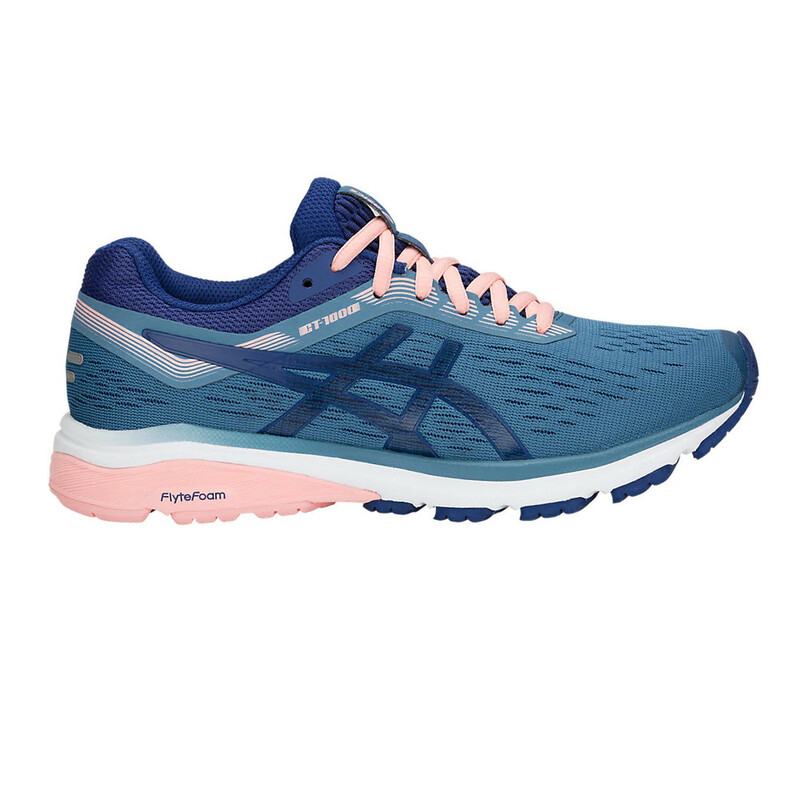 With its balanced support and guided stability, the sleek ASICS GT-1000 7 road stability footwear for women caters to runners of all levels. The first GT-1000 to incorporate FlyteFoam technology, this advanced model delivers a smooth, responsive ride that holds up mile after mile. Ideal for mid to long-distance road running. "Have given me bounce! Not until you have new shoes you realise." "Quality of product as expected"
Mesh uppers will encase each foot in breathable comfort. Perforations in the fabric increase airflow to create a better, healthier environment for your feet to thrive in. 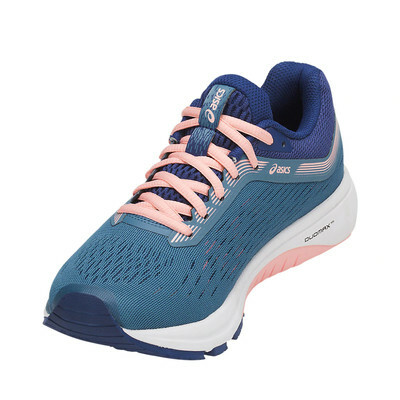 No-sew overlays swathe the midfoot and heel to improve stability; they unite with the lacing system to promote complete lockdown, anchoring you to the midsole and reducing in-shoe slippage so that you can enjoy smooth, distraction-free strides. Reflective elements complete the upper, increasing your visibility to passing vehicles and keeping you safe on those low-light adventures. An EVA Ortholite sockliner lies atop a supportive midsole, implemented to offer an extra layer of plush and hygienic underfoot comfort. This premium product features higher rebound properties but also provides excellent moisture-management and a high level of breathability; so you stay damp-free and comfortable on hot, longer distance days. SpEVAFoam 45 Lasting material sits beneath to supply step-in softness; its added cushion produces a plush feel and improved comfort, sparing your joints as you strike down onto hard, unforgiving concrete. For the first time ever in the GT-1000, ASICS add their ace card in lightweight cushioning: FlyteFoam. A generous helping of protection, bounce and comfort, it sits under the lateral heel to provide you with unmatched shock absorption and a lively ride. FlyteFoam is the lightest cushioning material ASICS has ever made, 55% lighter than the industry standard, EVA, and it buffers against the ground to protect you from unnecessary stress and fatigue. 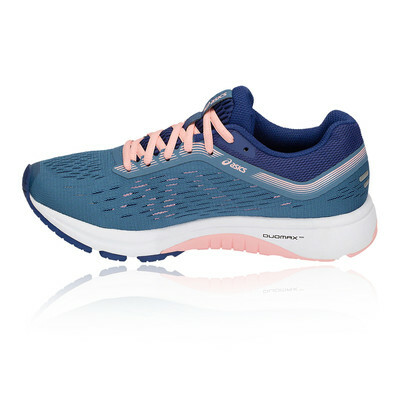 Its reinforced, organic fibres let the material bounce back to its original shape after every run; so you can train harder, more frequently, for longer, without the worry that your shoes might not be able to take it. SpEVA makes up the rest of midsole, adding durable responsiveness without compromising light weight. Embedded within this pillowy platform, and complimenting its bouncy nature, is the Rearfoot GEL Cushioning System. It works to reduce shock during the impact phase and promotes a peaceful transition to midstance. 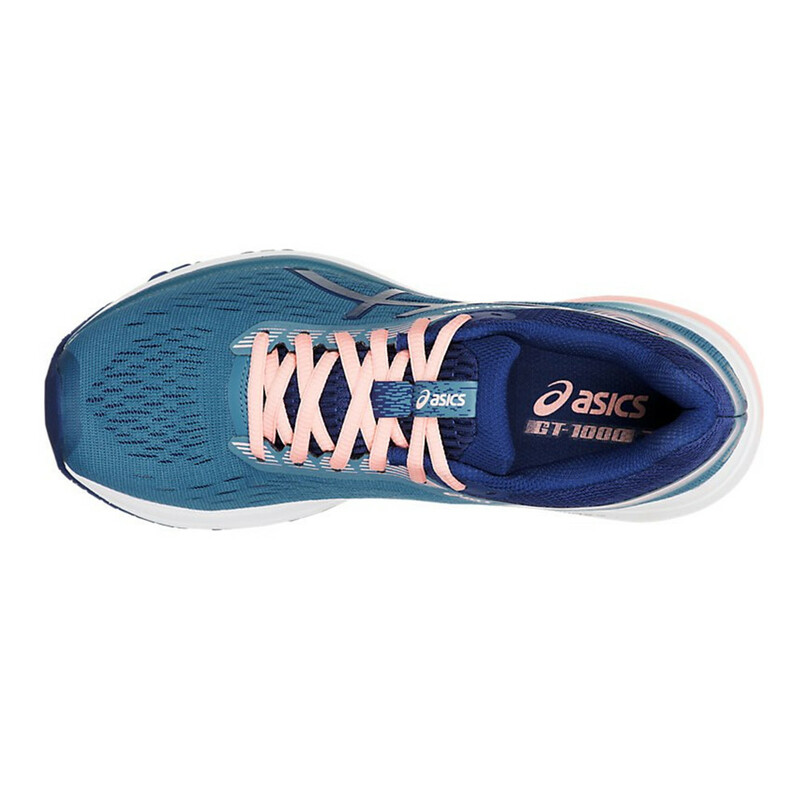 ASICS contrast their cushioning with the Duomax Support System. 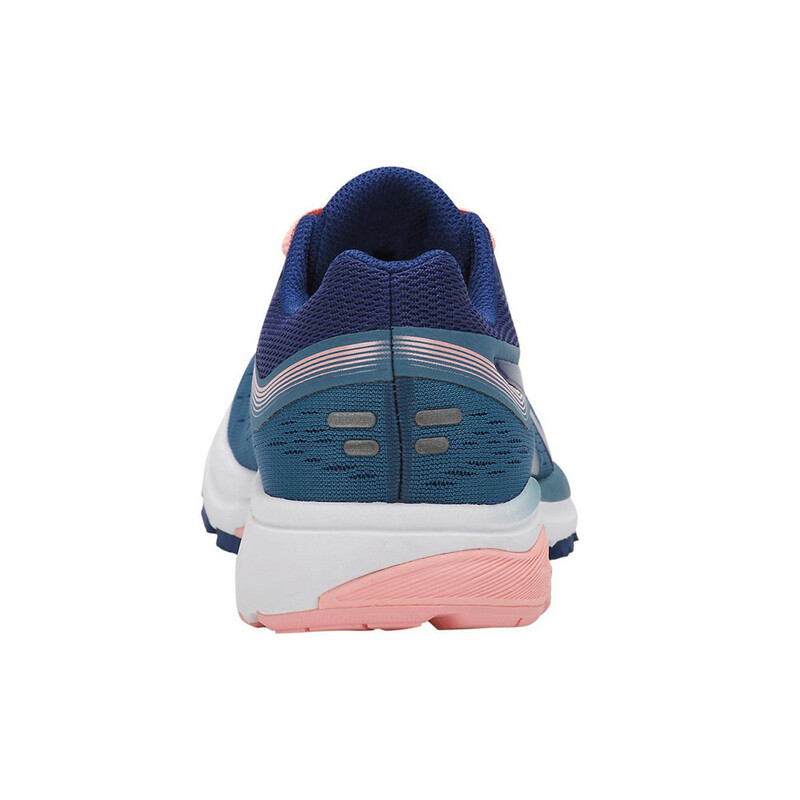 Implemented on the medial side, it helps to control pronation and reduce the risk of injury, enhancing stability and support without sacrificing light weight or comfort. Impact Guidance System technology works to enhance your stride. 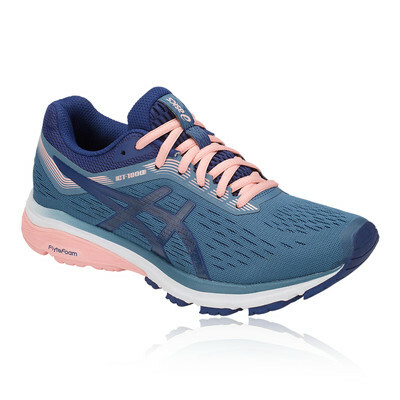 The ASICS Impact Guidance System (I.G.S) is a fundamental design philosophy around which ASICS' technical footwear is built. The aim of I.G.S is to encourage the foot to perform in a more natural manner and this is achieved primarily by encouraging the shoe to work with the foot rather than trying to control it, something which is further amplified by the flex grooves that are etched into the outsole. A Trusstic System has been implemented to reduce the weight of the sole unit and link the forefoot and rearfoot. It integrates the Guidance Line, to enhance gait efficiency, while increasing the shoe's torsional rigidity to prevent it from twisting. An AHAR (ASICS High Abrasion Resistant rubber) outsole completes the GT-1000 7; it is strategically placed in high-stress areas to supply excellent grip without compromising the shoe's permanence. No-sew overlays - Add lightweight support plus durability. Ortholite sockliner - Wicks moisture and offers a high level of breathability. 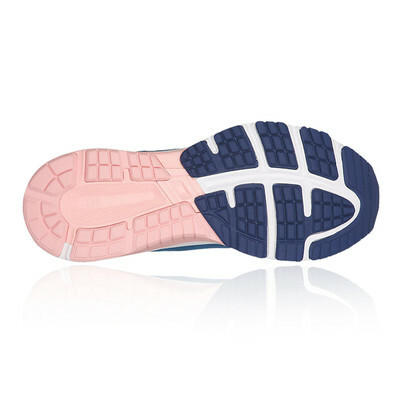 FlyteFoam technology - Lightweight and resilient underfoot cushioning. SpEVA midsole - Adds durable responsiveness without compromising light weight. Duomax Support System - Helps to curb overpronation, reducing risk of injury and enhancing gait efficiency. I.G.S - Impact Guidance System technology encourages the shoe to work with the foot rather than control it. AHAR+ outsole - Durable and reliable multi-surface grip. Heel height - 20 mm.